Boos rang aloud at Old Trafford when the players returned to their tunnel at half-time on Saturday. The scoreline read 2-0 to Newcastle, and Jose Mourinho’s lads had put in what was arguably the most pathetic display the Theatre of Dreams had seen in a long time. However, all of that changed in the second half, when Manchester United took charge and became a starkly different side. The 2-0 lead that the Magpies had so fondly cultivated went out of the window as Juan Mata brought back hope with a free-kick goal. Martial then equalized with a beauty, and Alexis Sanchez’s header won the game on the cusp of added time. It almost felt like one of Sir Alex Ferguson’s days again, and the comeback with a late-winner had the Old Trafford crowd roaring like they hadn’t in a long time; the booing left way in the past. Now, we may know precisely what Mourinho said at half-time to bring about such a drastic change. 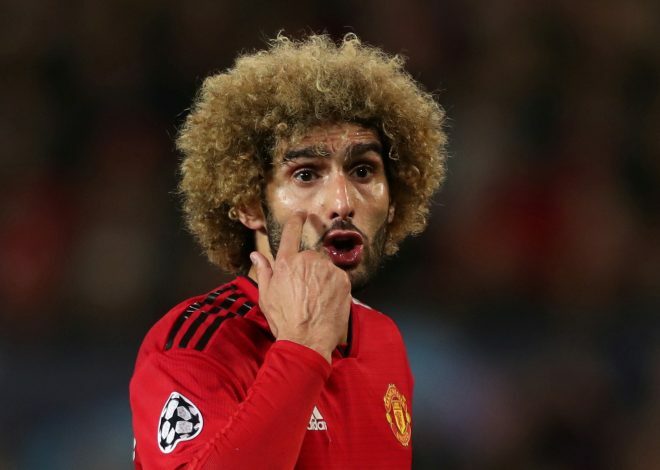 Marouane Fellaini was the only one of Mourinho’s substitutes who failed to score, but his presence was nevertheless a significant catalyst in the victory. However, the Belgian has now revealed (via BT Sport) that Mourinho’s words were the bigger reason for the three points. “The first half was a difficult moment for us, but we were more aggressive in the second half and we played more direct and created more chances. The manager asked us to be men and to not be afraid and just play. That’s what we did,” the midfielder revealed. Classic Mourinho. One now understands why the gaffer was jogging into the dressing room after the half-time whistle, the words probably ringing in his mind. Much has been said in the recent weeks about Mourinho’s future and the chances of him remaining in the top spot at the end of this campaign. But moments like these show precisely why he’s had successful spells at European giants, and also why he shouldn’t be written off just yet.